For over 40 Years, the Tomlinson and Nolan Families have been known for award winning BarBQ. 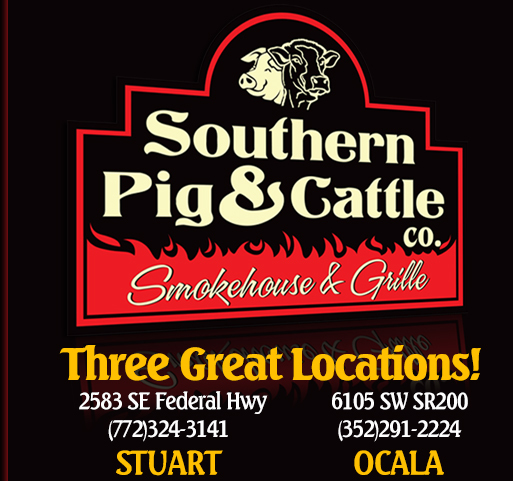 Their newest restaurant, The Southern Pig and Cattle Company brings you the comfortable Family Atmosphere. Reminiscent of the days of the Cattle Ranchers where Char-Grilled Grade A Steaks, Premium Smoked Meats and Unbelievably Delicious Sides were the foods of choice. Add our unmatched Endless Salad Bar and well, it just doesn’t get much better than that!! So we invite you to join us and enjoy some good ol’ Southern fare, one taste and you’ll understand what Great Eatin’ is all about!